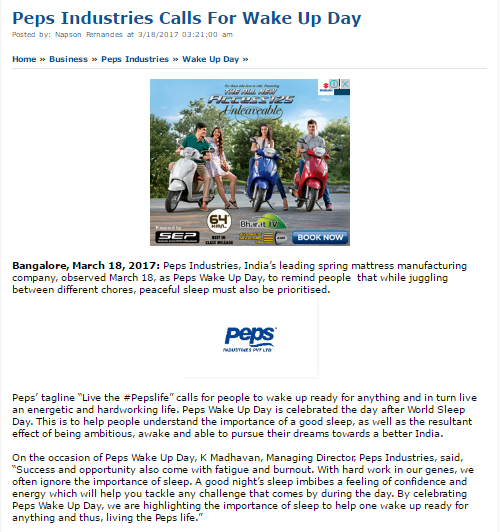 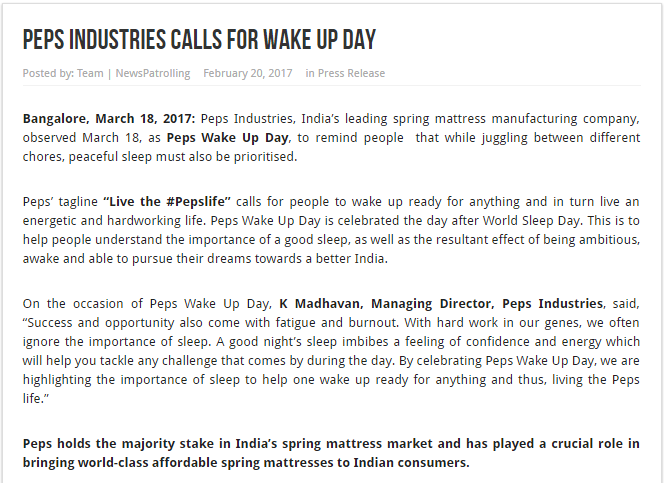 Bangalore, March 18, 2017: Peps Industries, India’s leading spring mattress manufacturing company, observed March 18, as Peps Wake Up Day, to remind people that while juggling between different chores. 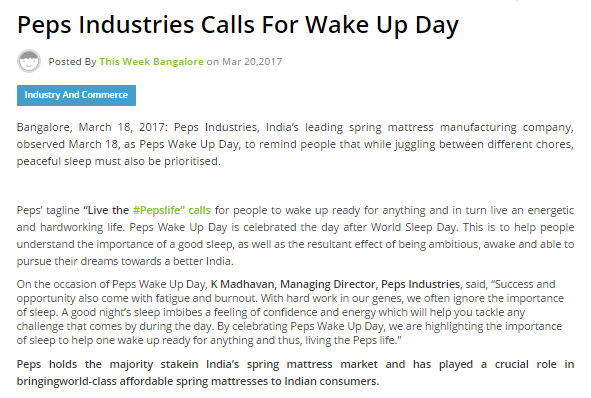 peaceful sleep must also be prioritised. 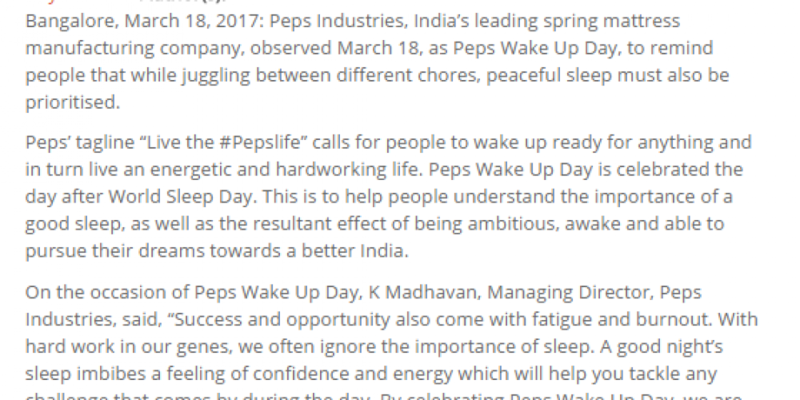 Peps’ tagline “Live the #Pepslife” calls for people to wake up ready for anything and in turn live an energetic and hardworking life. 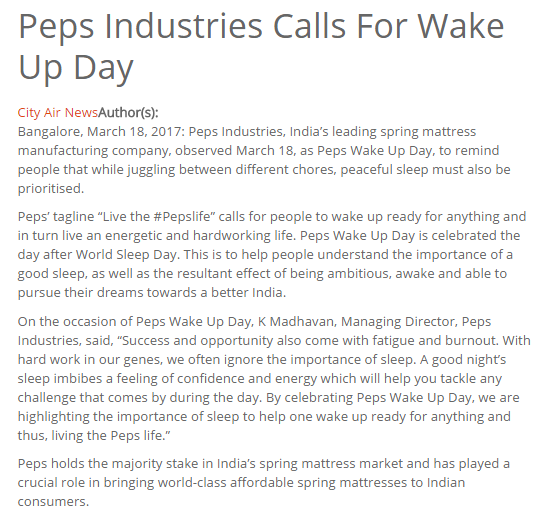 Peps Wake Up Day is celebrated the day after World Sleep Day, This is to help people understand the importance of a good sleep, as well as the resultant effect of being ambitious, awake and able to pursue their dreams towards a better India.